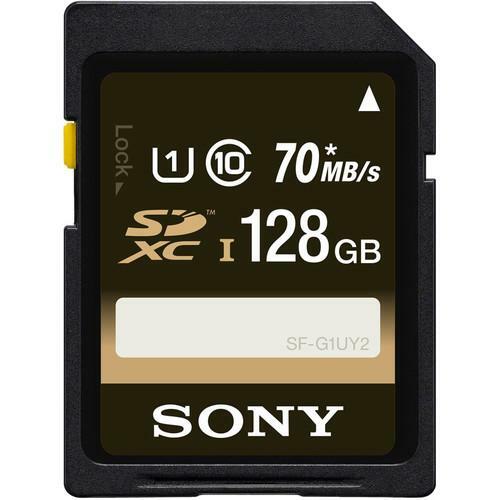 We recommend checking out our discussion threads on the Sony 16GB UHS-I SDHC Memory Card (Class 10) SF16UY2/TQ, which address similar problems with connecting and setting up Memory Cards Sony. The user manual for the Sony 16GB UHS-I SDHC Memory Card (Class 10) SF16UY2/TQ provides necessary instructions for the proper use of the product Photography - Memory Cards & Film - Memory Cards. 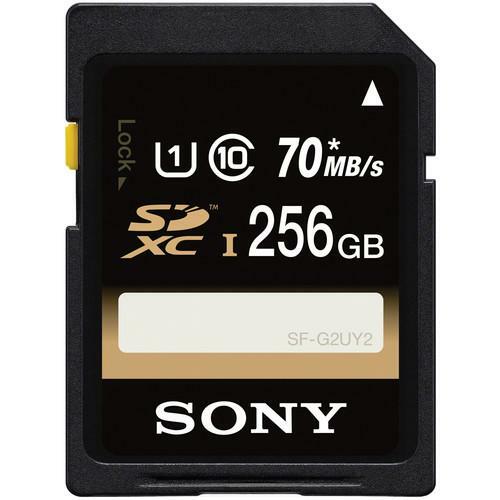 This 16GB UHS-I SDHC Memory Card from Sony comes with a data transfer rate of up to 70 MB/s allowing you to transfer your files quickly. Simply insert this card into your smartphone, tablet, or camera to begin storing various files including applications, games, photos, music and much more. With the downloadable File Rescue software you benefit from added peace of mind as it helps to recover accidentally deleted or damaged photos and videos. This SDHC memory card also comes waterproof, dust-proof, temperature proof, and it guards against UV rays and static to keep your files safe in some of the harshest conditions. If you own a Sony memory cards and have a user manual in electronic form, you can upload it to this website using the link on the right side of the screen. Box Dimensions (LxWxH) 5.5 x 3.5 x 0.35"
The user manual for the Sony 16GB UHS-I SDHC Memory Card (Class 10) SF16UY2/TQ can be downloaded in .pdf format if it did not come with your new memory cards, although the seller is required to supply one. It is also quite common that customers throw out the user manual with the box, or put the CD away somewhere and then can’t find it. That’s why we and other Sony users keep a unique electronic library for Sony memory cardss, where you can use our link to download the user manual for the Sony 16GB UHS-I SDHC Memory Card (Class 10) SF16UY2/TQ. 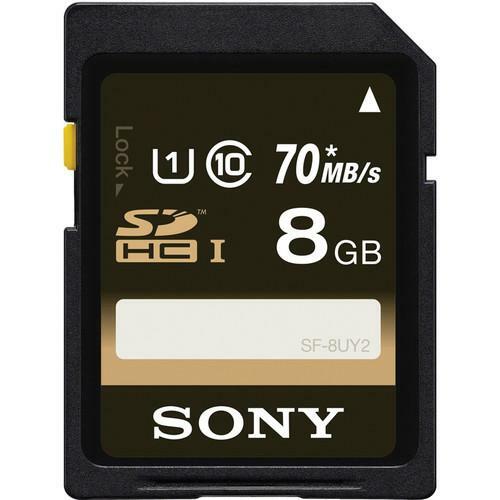 The user manual lists all of the functions of the Sony 16GB UHS-I SDHC Memory Card (Class 10) SF16UY2/TQ, all the basic and advanced features and tells you how to use the memory cards. The manual also provides troubleshooting for common problems. Even greater detail is provided by the service manual, which is not typically shipped with the product, but which can often be downloaded from Sony service. If you want to help expand our database, you can upload a link to this website to download a user manual or service manual, ideally in .pdf format. These pages are created by you – users of the Sony 16GB UHS-I SDHC Memory Card (Class 10) SF16UY2/TQ. User manuals are also available on the Sony website under Photography - Memory Cards & Film - Memory Cards.